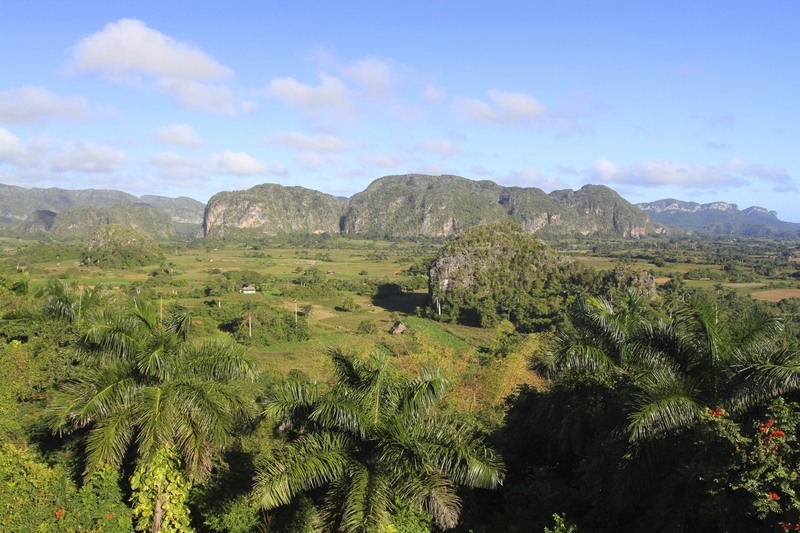 Cuba is a country where chickens roam free and, at night, nest in the trees as they’ve done for thousands of years. 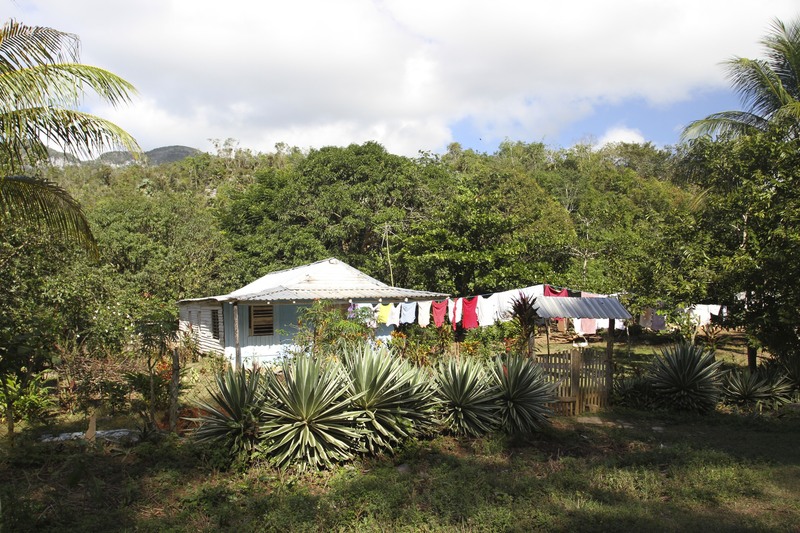 The Valle de Silencio is a place where there are lots of chickens in trees. 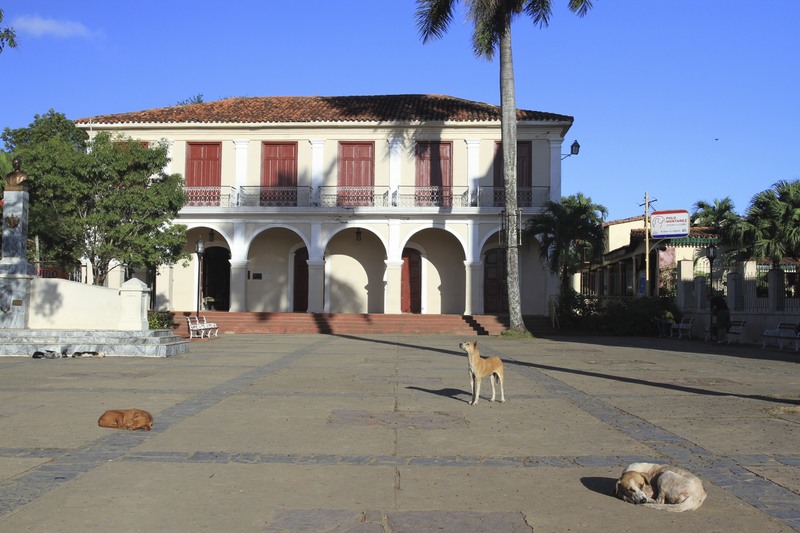 It’s also one of the most beautiful and enigmatic places we visited in Cuba. 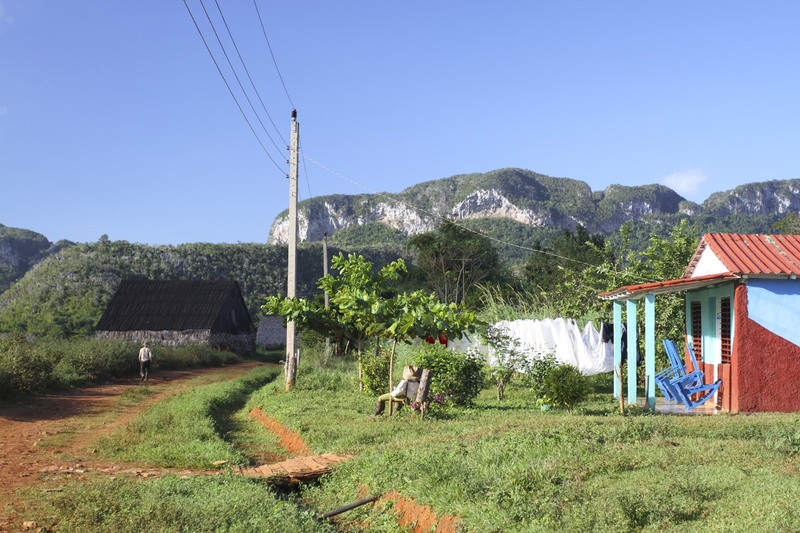 A sunset walk through the countryside with a knowledgeable guide – who was moonlighting from his job as a radio journalist – was a highlight of our time in Viñales. 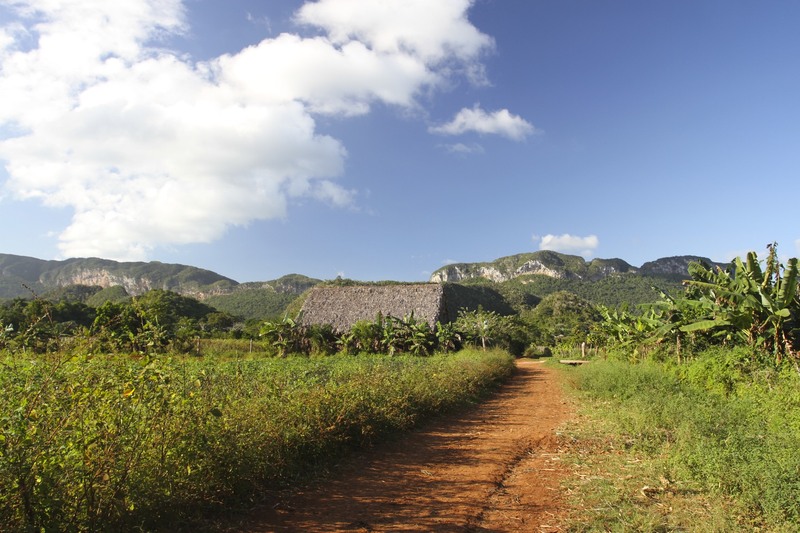 It’s not like there’s a lot of noise or traffic in Viñales, but walking into the Valle de Silencio is like entering a different, quieter world. 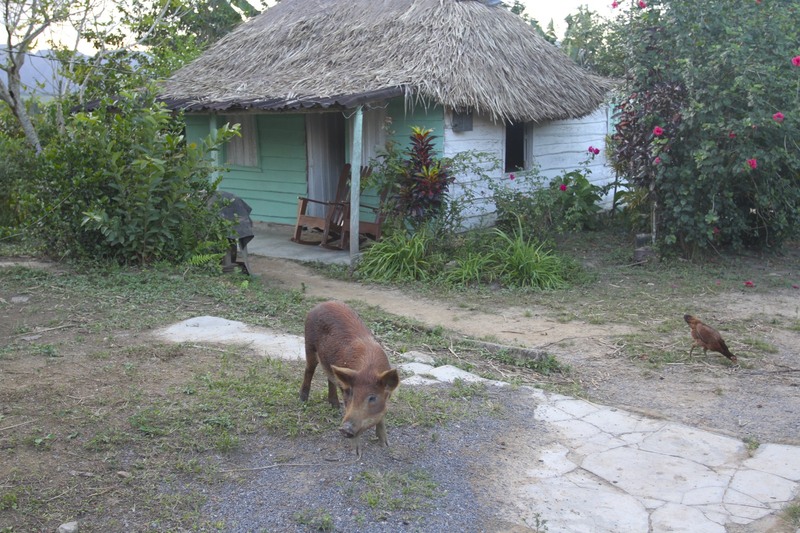 How long that will last in the face of ever increasing tourism is anyone’s guess, but Viñales’ Silent Valley will live long in the memory. 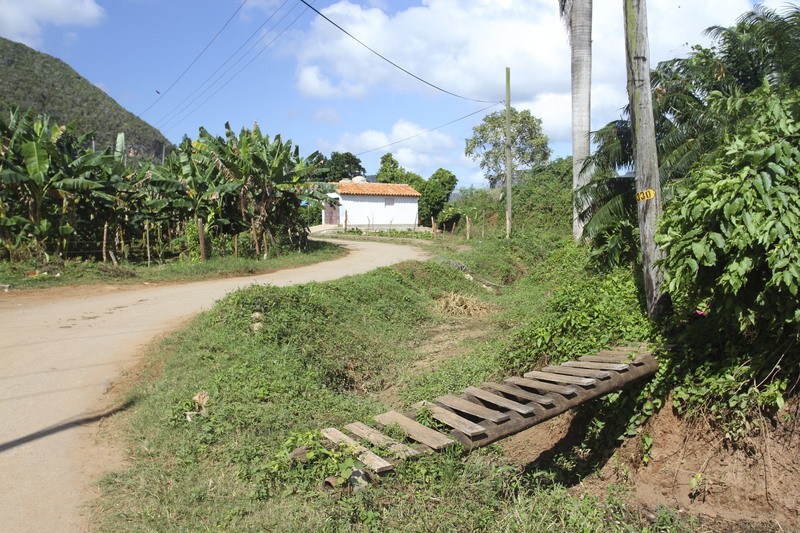 We took a 1950s Ford into the countryside, stopping at the entrance of a dirt road that led past a couple of wooden houses. 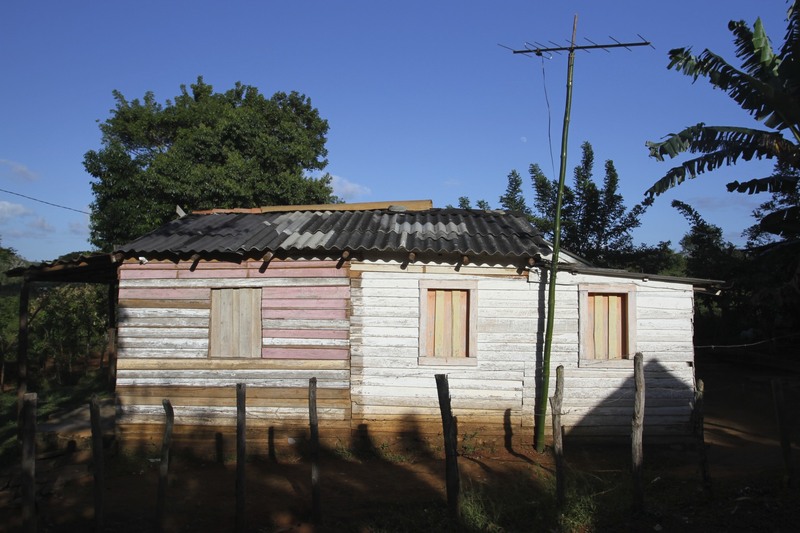 It’s a cliché, but the Valle de Silencio seems frozen in time. We hadn’t gone too far before passing a field with two horses sheltering under a tree in the corner, and a farmer ploughing with two oxen. A sight that you might have seen any time in the last few hundred years. 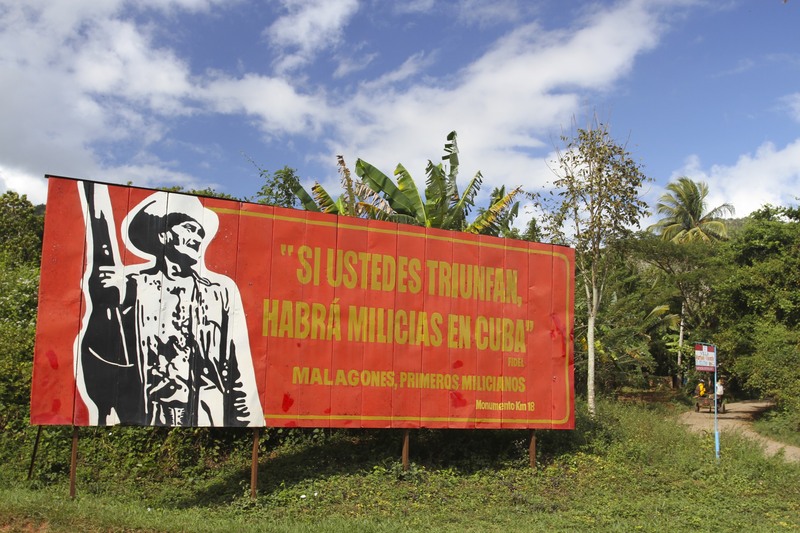 This is tobacco country, with 70 percent of Cuba’s tobacco crop grown in this province. 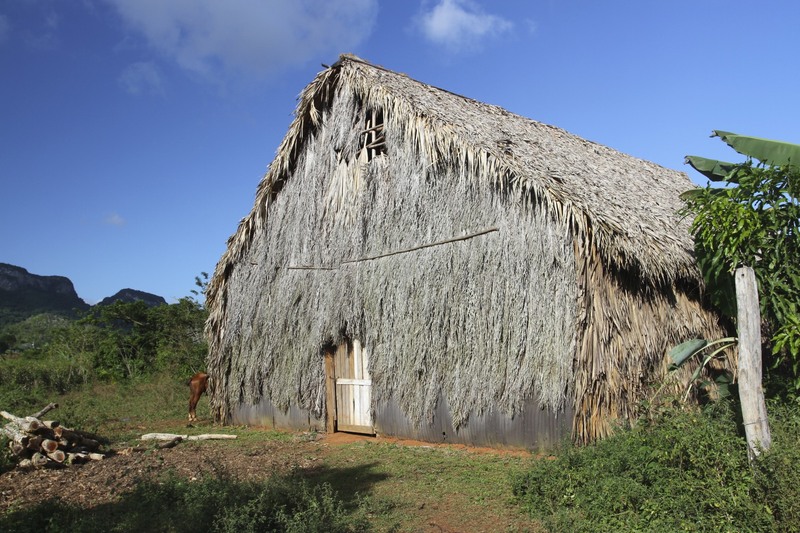 On our three hour walk we saw plenty of wooden huts with palm thatch roofs, where the tobacco leaves hang to dry for two months. 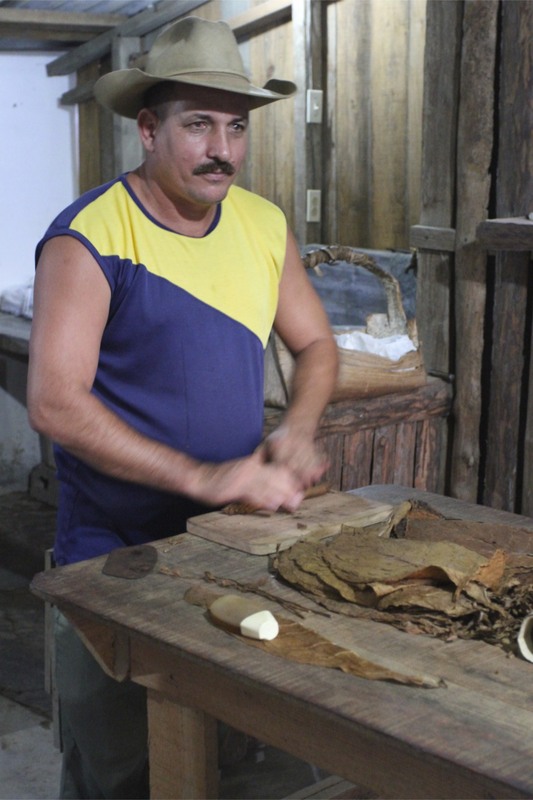 The leaves are then fermented for another month or two, before going into a warehouse to age for anything from one to five years. Cigars require a lot of commitment. 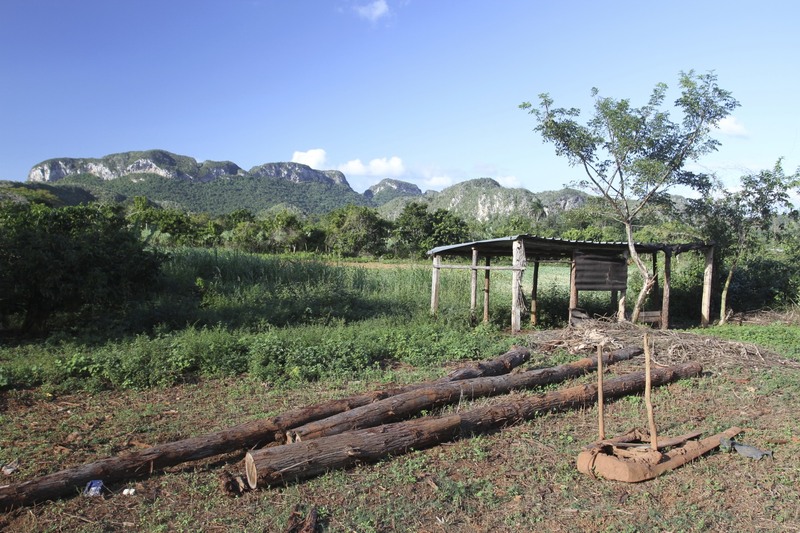 Our walk would end at a small farm where we’d get the chance to have a home-grown, hand-rolled, eco-friendly rustic cigar. 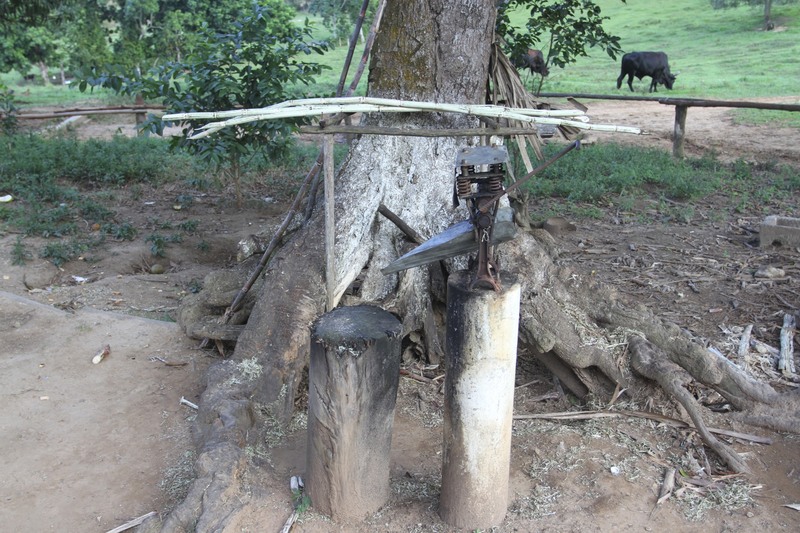 This is also a chance for the farmer to earn a little extra money. 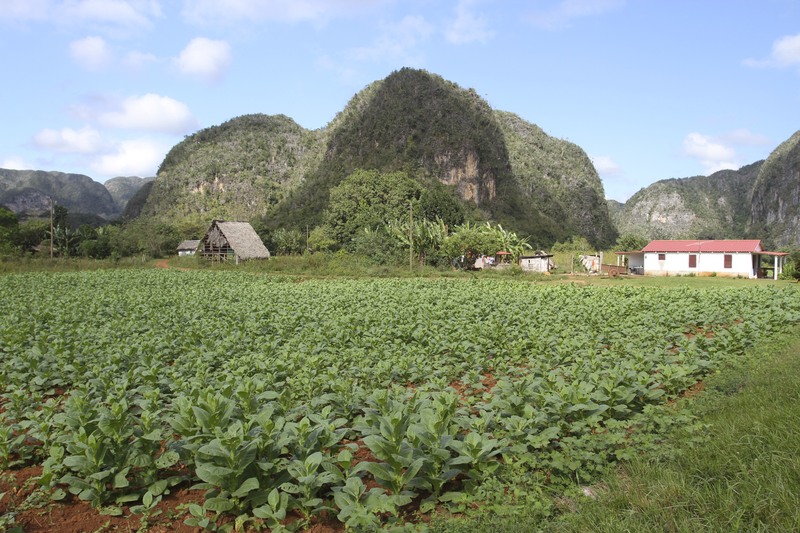 The government takes a whopping 90 percent of the tobacco crop, leaving 10 percent for personal use or to sell to tourists. 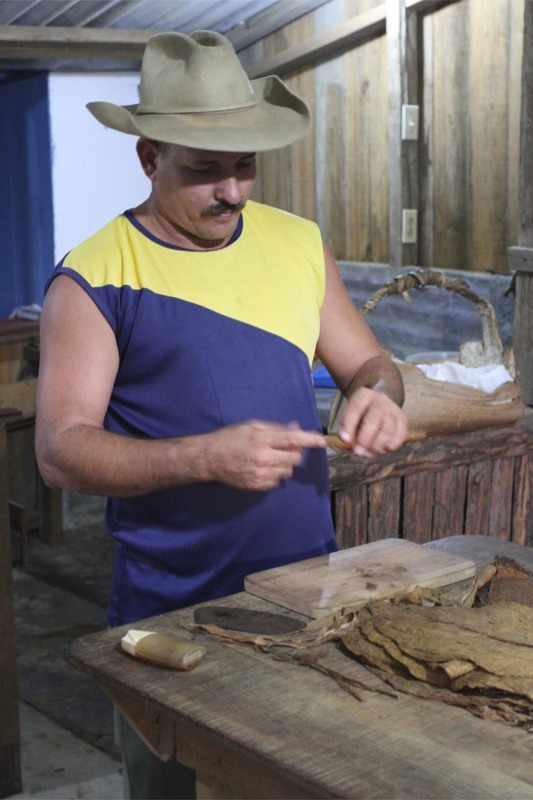 It was good to get the low-down on what it took to get the tobacco from seedling to cigar in my hand. 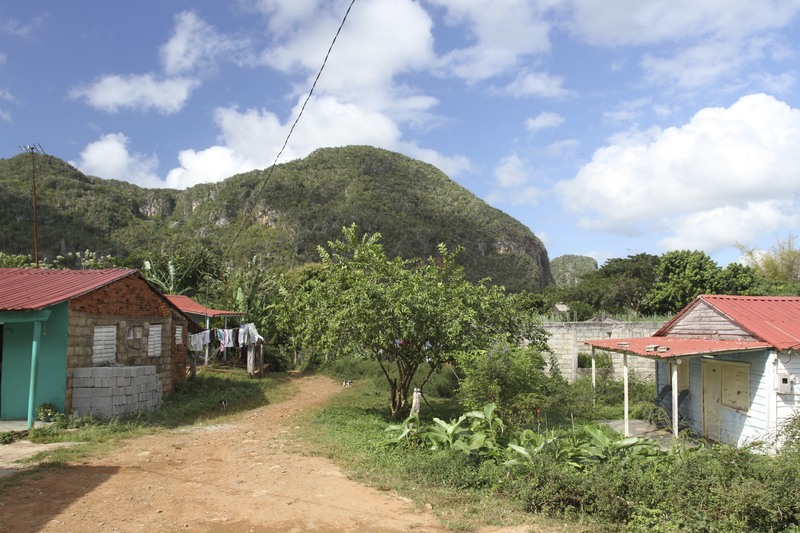 Our walk took us down red earth roads, spotting the occasional horse, pig or cow; men with machetes walked past; and colourful houses were dotted here and there. All the while the landscape was spectacularly illuminated by the soft, magnificent light of the descending sun. This is a landscape to rival any in the world. 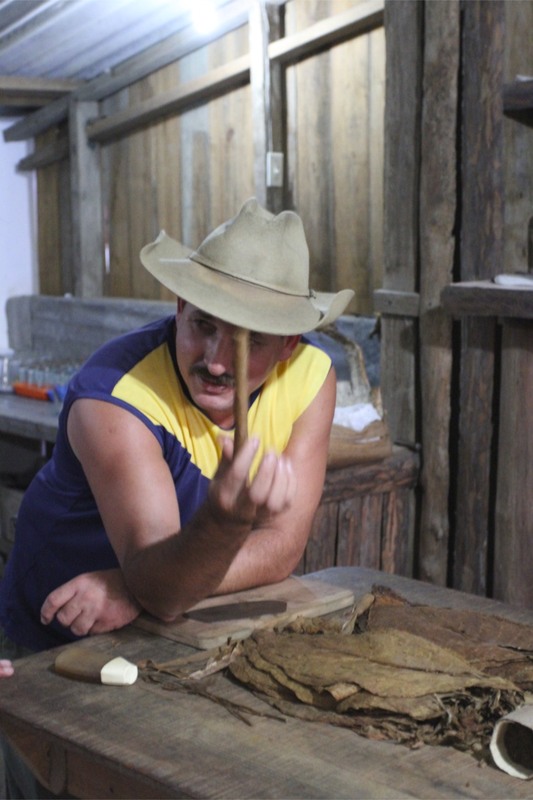 We finally arrived at a small farm on a hill overlooking the valley, as the sun set we were given a virtuoso demonstration of cigar rolling by one of the farmers. 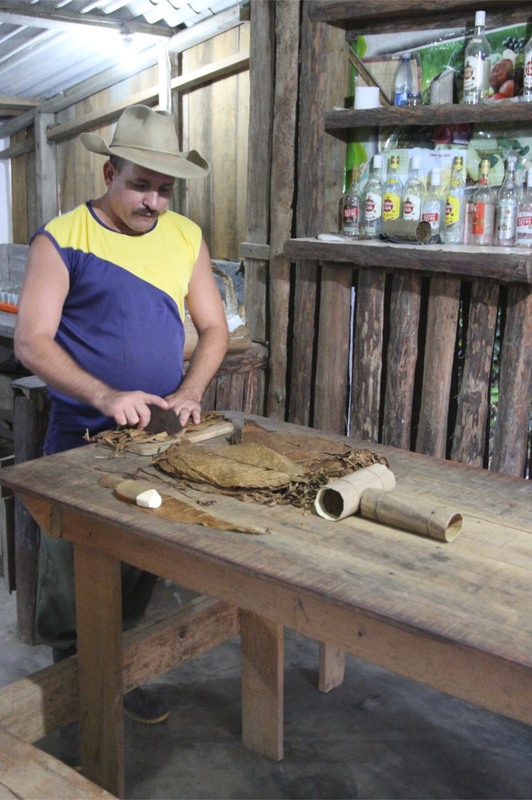 I know there’s a lot of skill involved, and all the tobacco leaves have to be rolled in the correct order, but he made it seem ridiculously easy. 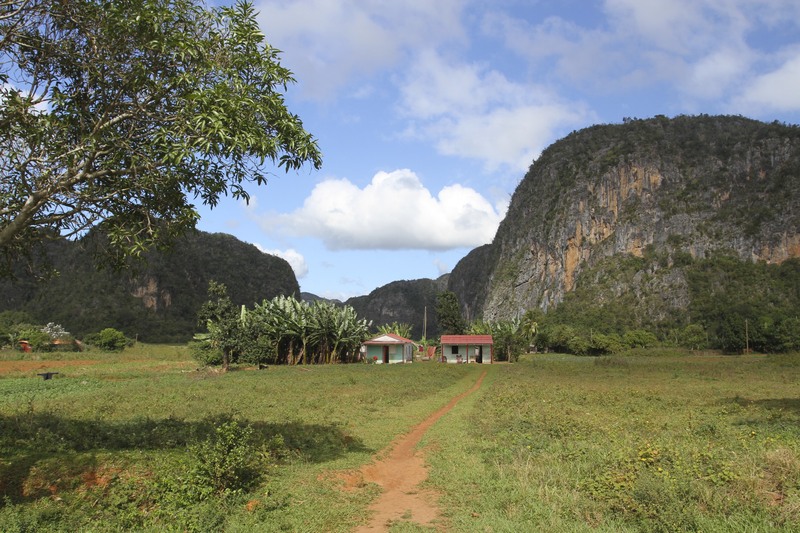 As darkness consumed the views of the Valle de Silencio, we made our way to the waiting 1950s Ford and back to Viñales. 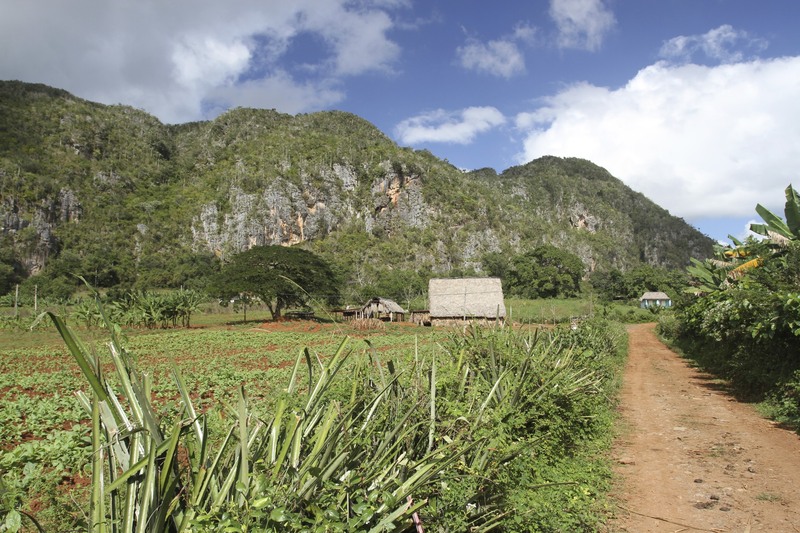 I dare you to look at a panoramic photo of the Valle de Viñales and not want to hop on a plane to see it for yourself. 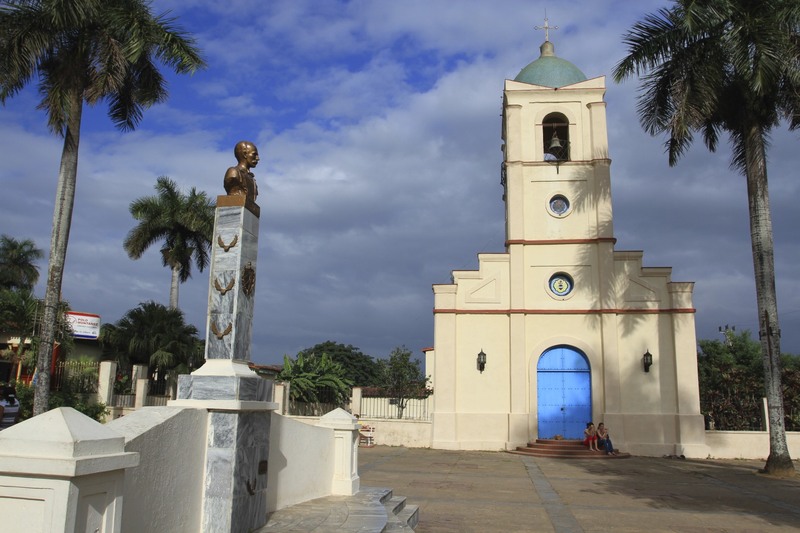 The UNESCO World Heritage listed valley is extraordinarily beautiful, retaining a sense of timelessness that defies its status as one of the most visited destinations in Cuba. It’s the sort of place where you plan to spend a couple of days and stay for a week. 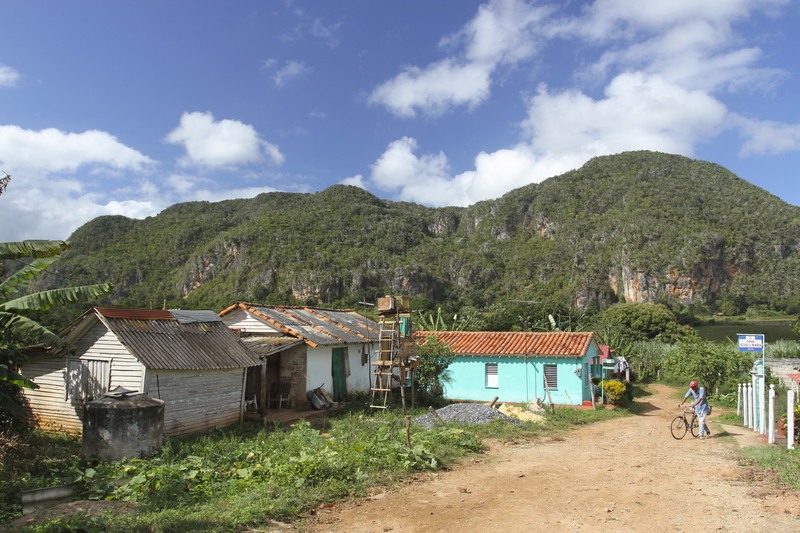 The village of Viñales is a magnet for independent travellers seeking peace, quiet and the outdoors. 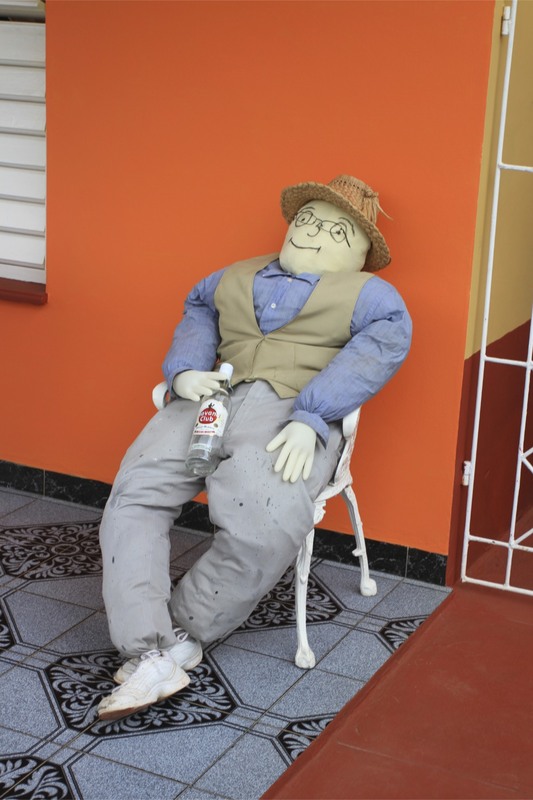 This might seem contradictory, but tourism is low-key and it’s a laid-back place with an endless supply of rocking chairs and mojitos. 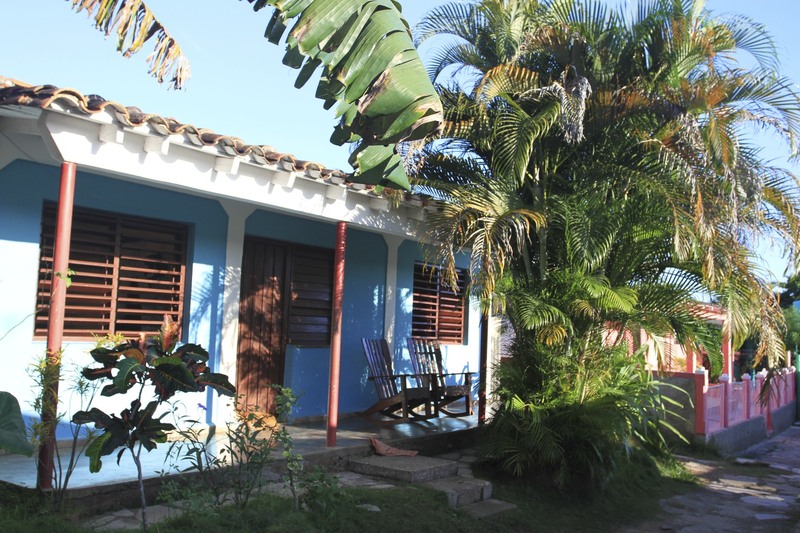 The village still retains many colonial-era one storey houses, most of which are painted in bright colours and have been converted into casas particulares. 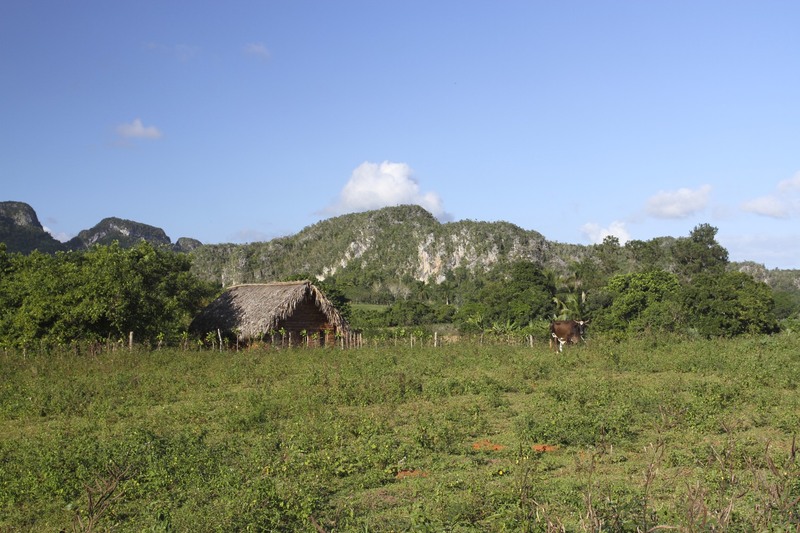 Part of the Sierra de los Organos, the valley is dotted with mogotes – the sugarloaf-shaped limestone outcrops covered in greenery that give it its distinctive appearance. 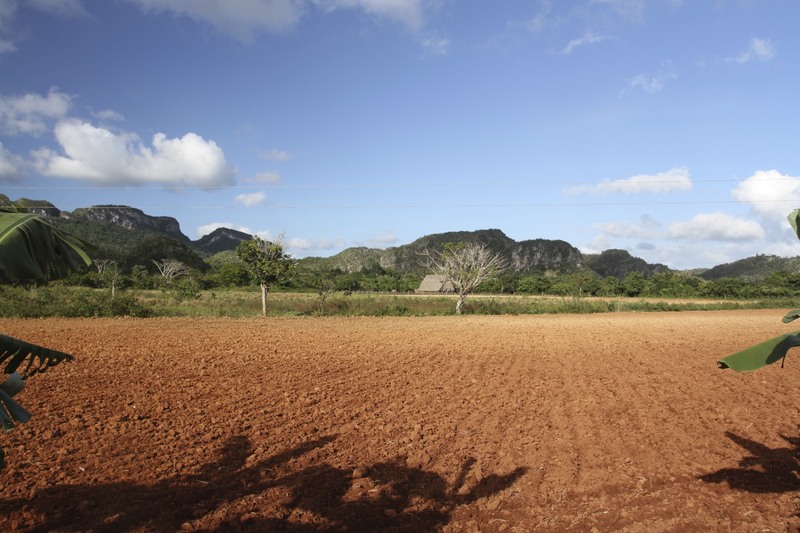 It’s an iconic landscape best known for producing Cuba’s (and therefore the World’s) finest cigar tobacco. 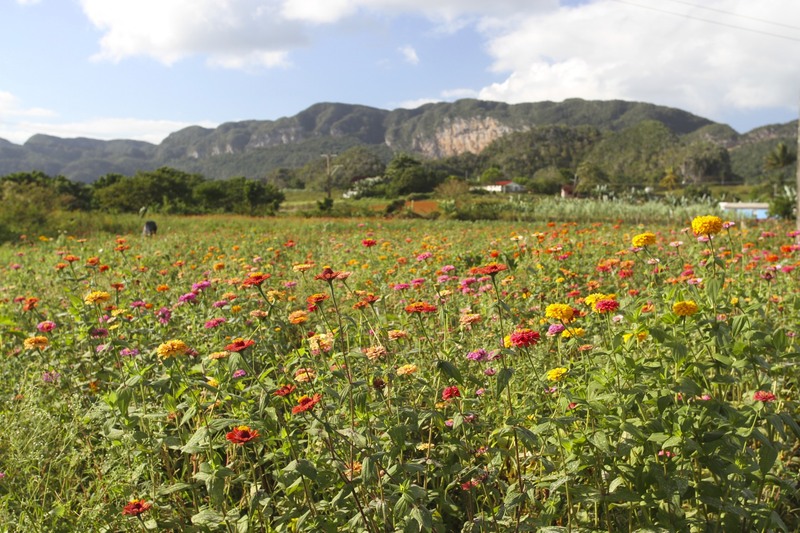 In the winter the valley floor is covered with fields full of the large green leaves of nicotiana tabacum. 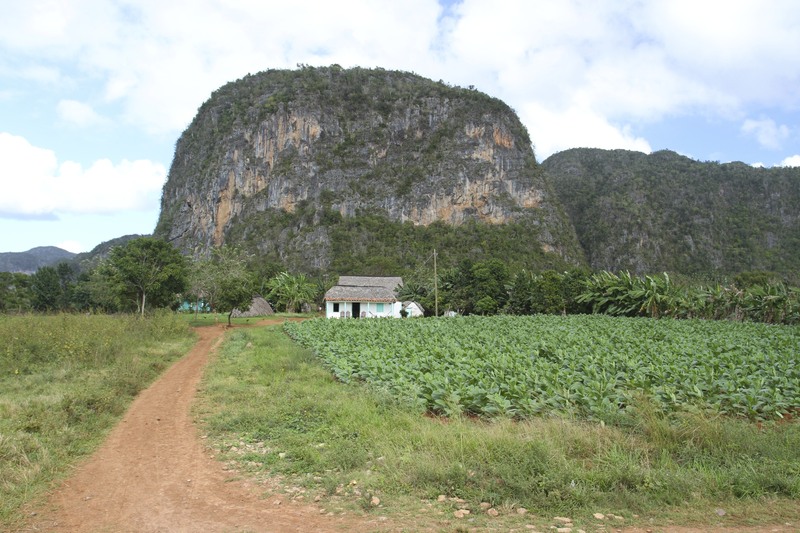 The real delight of the Valle de Viñales, and a key selling point for Cuban tobacco, is that farming methods remain very traditional. 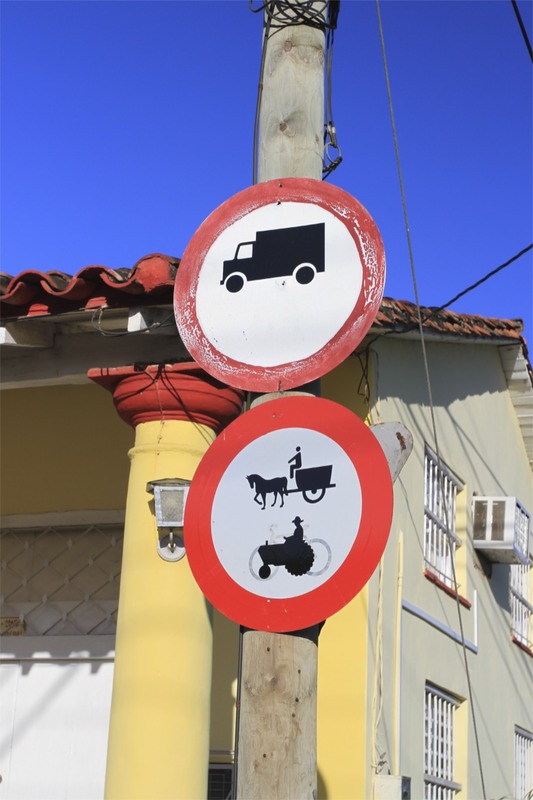 No pesticides here, and you’re far more likely to see bullock carts and horse-drawn transport than tractors. 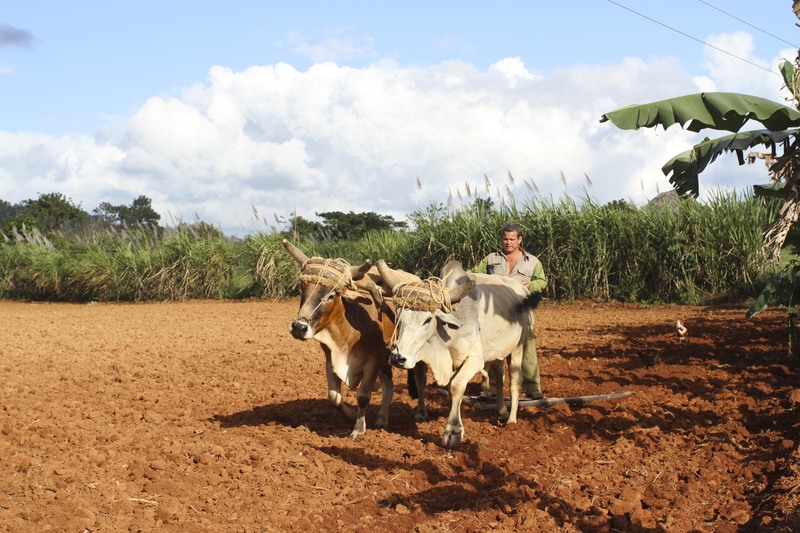 Fields are still ploughed using oxen. 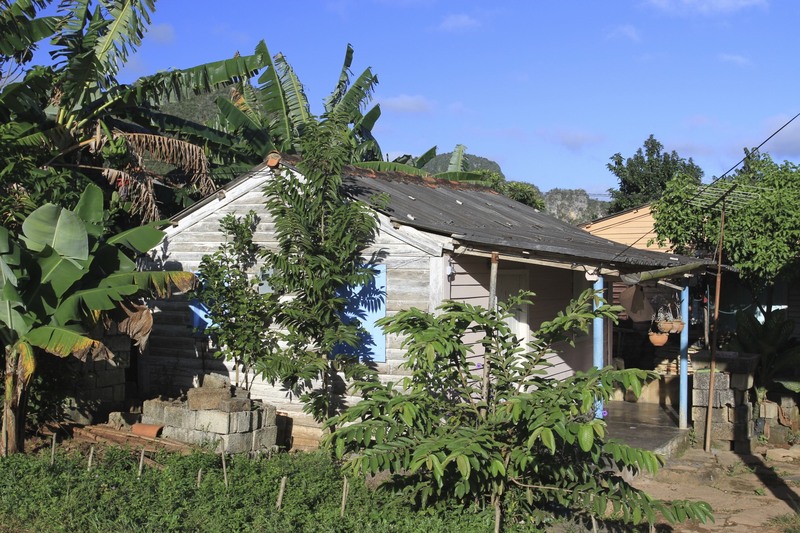 The wooden huts with palm leaf roofs where the tobacco leaves go to dry, would have been as familiar a sight in the 19th Century as they are today. 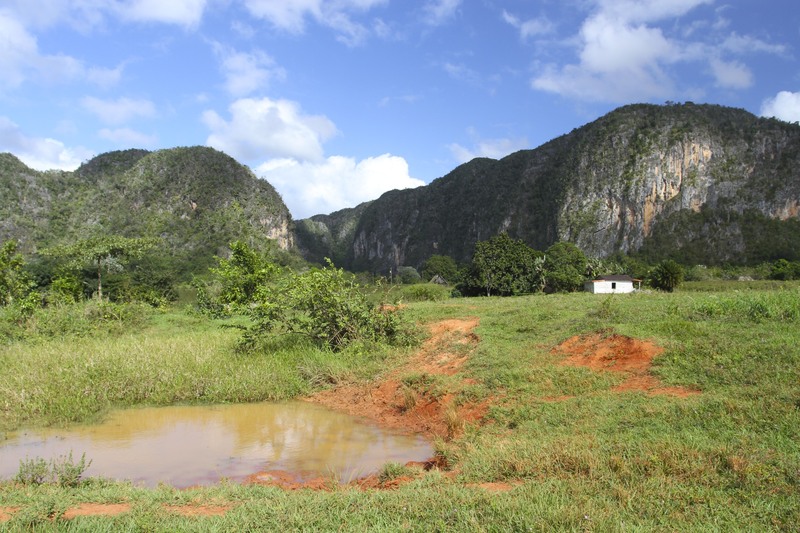 Viñales holds a special place in the national psyche, a place Cuban’s talk about wistfully while encouraging you to visit. After a few days in the valley it’s easy to see why. 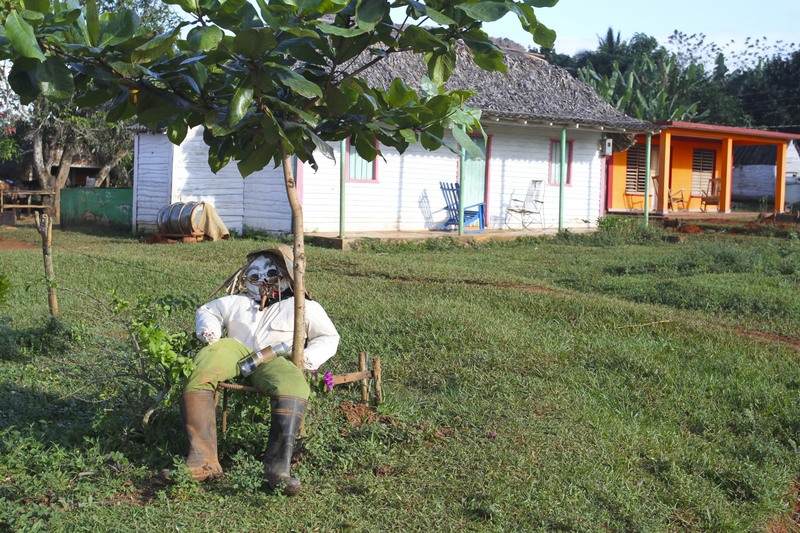 Tradition is everywhere, but the farming community here is also a vibrant cultural mix of indigenous people, Spanish colonialists and African slaves, brought here to work the tobacco fields. It even has its own musical style. 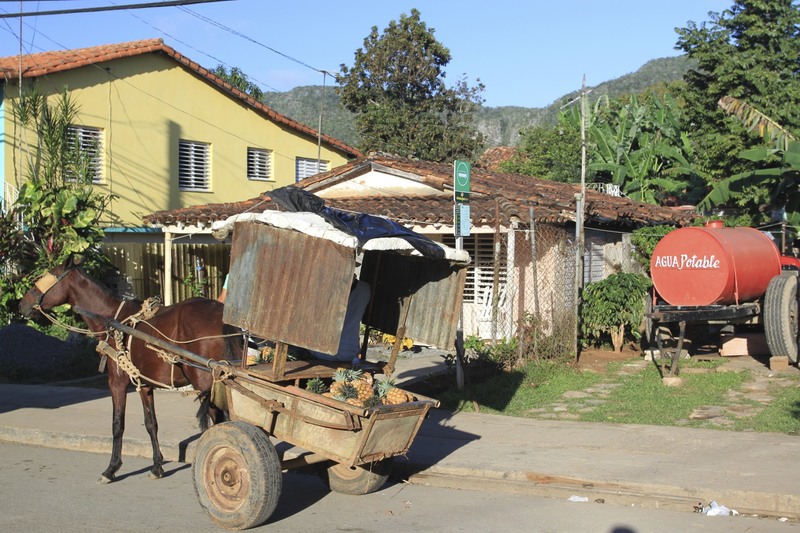 There’s a tourist circuit in the valley, and even a hop-on-hop-off bus taking you to various sights. These seemed a bit underwhelming so we decided to do our own thing. 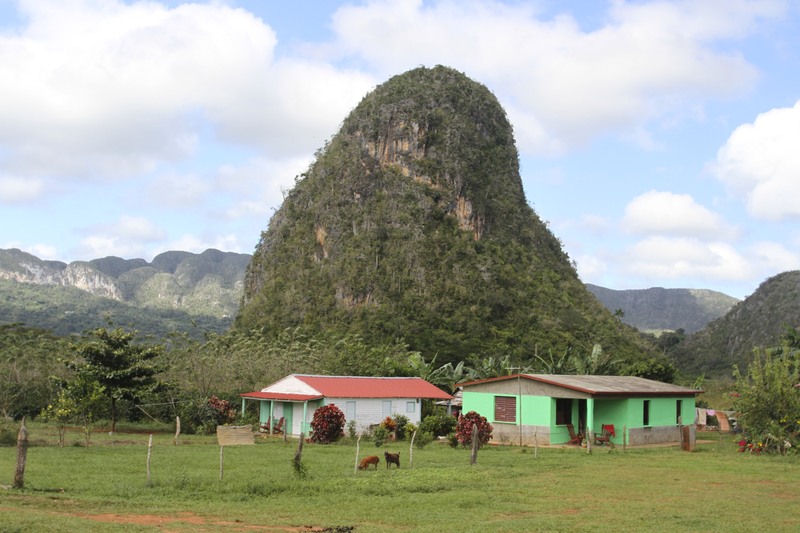 We did visit one of the largest cave systems in the Americas though. 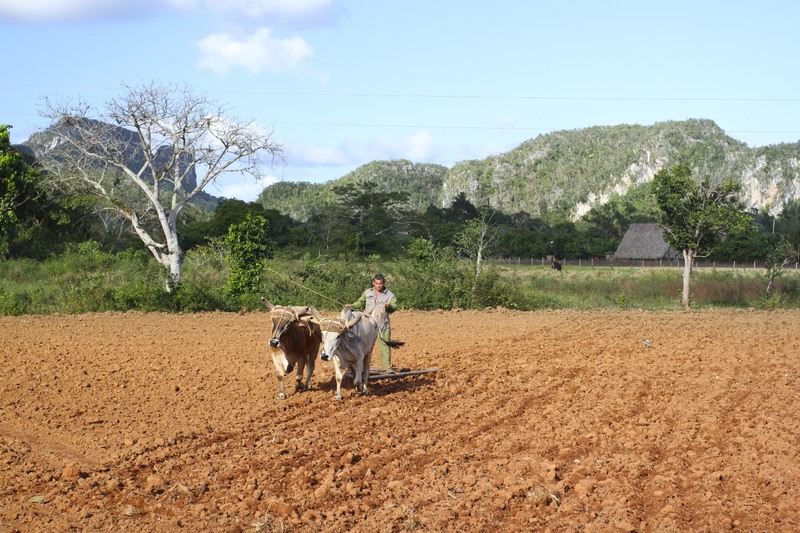 Other than that, we went on walks through this picturesque valley, plodding along observing traditional life while moving at a traditional snail’s pace. 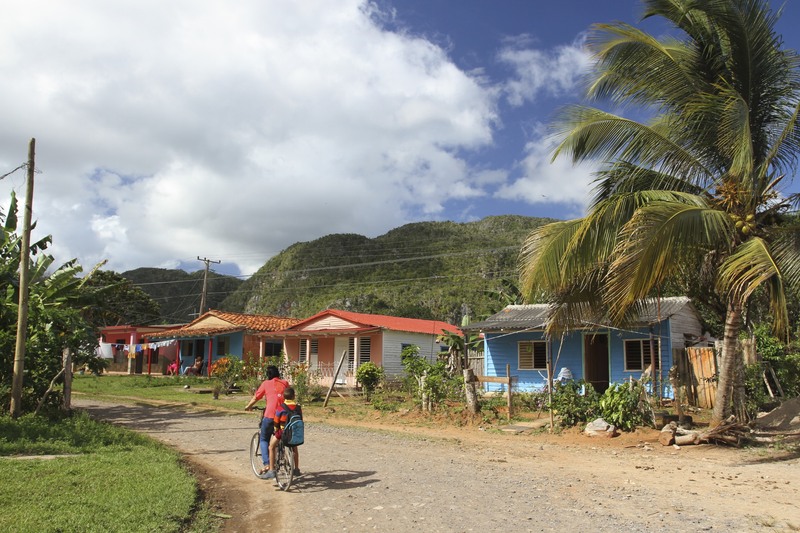 A striking feature of Viñales is that the village has numerous independent bars, cafes and restaurants. 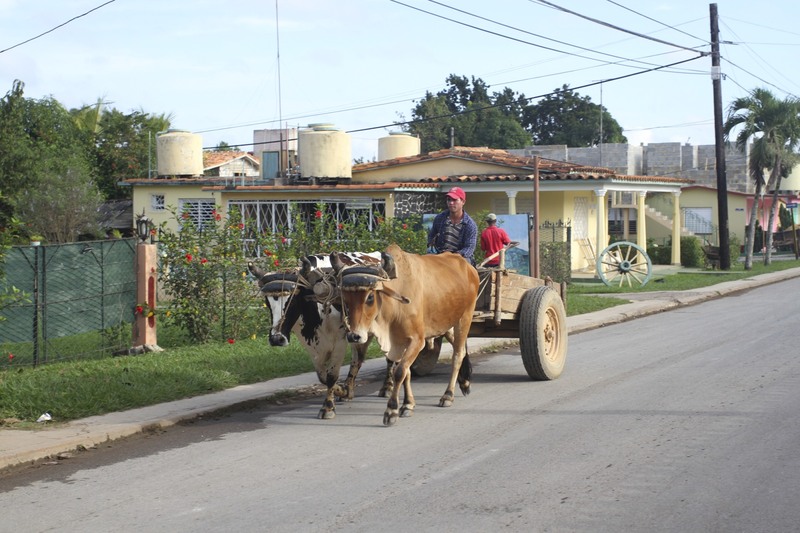 We ate mostly in our fabulous casa particular, but the options for eating and drinking in the village are in contrast to much of the rest of Cuba. Ordering valedictory piña coladas on a bar terrace, our drinks came accompanied by a bottle of rum. Just add to taste, we were told. Now that’s laid back tourism.